Bhubaneswar, the “Temple City of India” is the modern capital of the state of Orissa. The city is famous for its rich culture including the Odissi dance form. It is also a city of start ups and will soon replace Bangalore as the start up hub of India which is also being supported by the Government of Orissa. Hundreds of start ups are booming in this city and are contributing in giving employment to thousands of people. It is one of the first planned cities of India and is the largest in size in the state of Orissa. Approximately 0.92 million people call this city their home. Since the city is an emerging information technology (IT) and education hub, a lot of young people are choosing this city to learn, earn their living and settle here. The cost of living in the city is moderate but since it includes a lot of youth population trying to establish themselves here, needs of personal loans is growing in Bhubaneswar. In times of financial emergencies, when one gets refused by a bank for small loans because of poor credit score, it is truly disappointing. Personal loan apps like CASHe are a refreshing change in today’s modern world. SLQ is a technique devised to identify creditworthy individuals on the basis of one’s digital footprint instead of previous histories of loans. 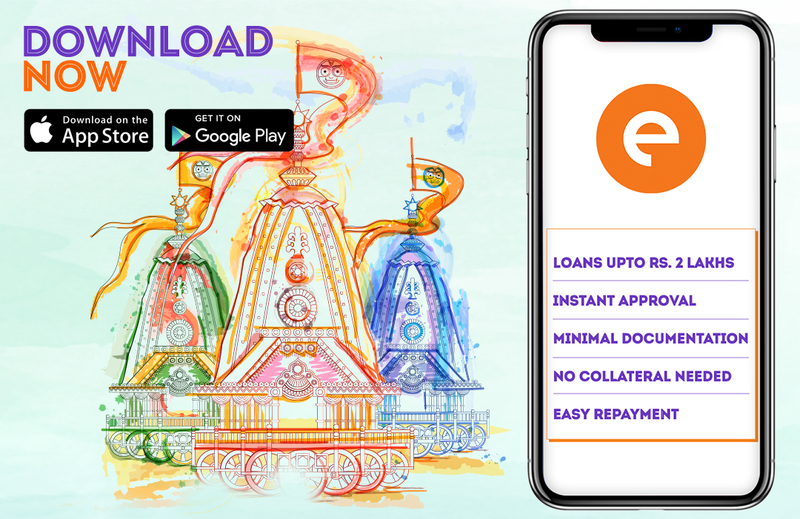 Even if the credit score of an individual is not good, one can still get loans on the basis of SLQ score through these apps. b) Convenience and Time Saving – The whole process of obtaining a loan has become extremely easy. No paperwork is necessary. All one needs is a copy of PAN card, Aadhar card, latest salary slip and last three months’ bank statement. The entire process can be completed in less than 8 minutes if one just has a smart phone and this app. c) Interest Rates – The interest rates charged are lower as compared to many traditional methods of borrowing. Also, the better the SLQ score, the better the rate of interest one avails. Through a simple and seamless process you can apply for personal loan using an app is easy. In order to have the best experience in obtaining a personal loan in Bhubaneswar, choose your options carefully and apply for a loan online.